a contemporary neighborhood bistro that encompasses the spirit of Tucson & the Southwest.  Tito & Pep is a bright new venue in midtown Tucson providing exceptional service, quality food and beverage, in a convivial, relaxed atmosphere. We hope to establish ourselves as a true hub, woven into the fabric of one of Tucson's most vibrant areas. The focus of the experience at Tito and Pep is mesquite-fired cuisine, as well as a full-service beverage menu featuring quality beer, wine, & cocktails. Applying over 20 years of experience gained across the U.S. and abroad, Chef & Owner John Martinez draws influence from the multi-cultural history of the region and from his travels, to create a cuisine that is vibrant and delicious. Where does the name Tito & Pep come from? The name Tito and Pep is an homage to the matriarchs of John’s family: his grandmother Dorothy, and his great-aunt Marie. When Johns’ grandmother was a young lady, she would take care of her younger cousin Marie. To entertain her and pass the time, during the late 1920’s, she would make up stories to tell Marie about two girls who were best friends. One was a rich girl, and one a was poor girl, but they would have adventures together and their names were — Tito and Pep.